Ready to get your kicks on Route 66? 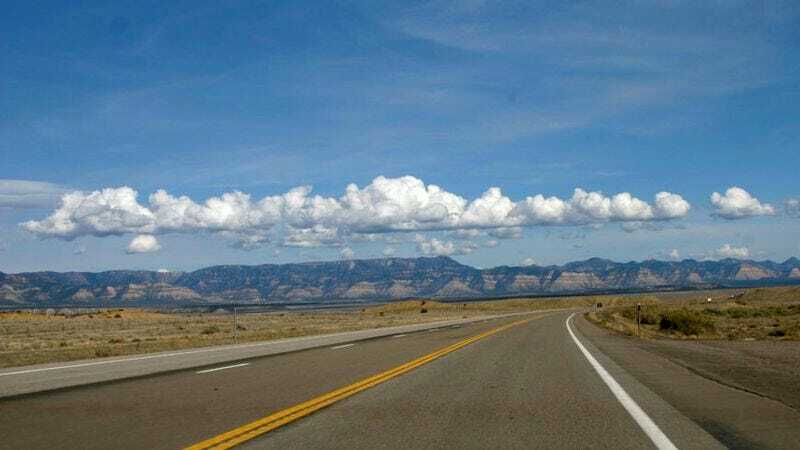 These steps will show you how to load up the hatchback, hit the road, and lower your expectations, because this road trip is gonna be just okay, and it’s healthy to keep that in mind during the planning process so it doesn’t upset you later. A reliable, spacious car is key, but you’re setting yourself up for disappointment if you insist on utter perfection. This road trip will be fine; that’s all you should hope for. Round up a your absolute best buds, but use a reasonable standard of “best” and remember that some of your buds’ schedules might not work, and your car-mates might not all get along. That’s totally fine. This doesn’t need to be the life-changing experience you’ve built it up to be. Munch, munch, munch! Even with a trunk full of tasty treats, your trip will have its flaws and down moments. It’s best you come to terms with that now so you can enjoy your road trip. Rest stop! Time to stretch your legs and bust out the disc. Fun for everyone, although one of your friends might grow sick of it, saying nothing, playing along impassively just to fulfill a social obligation. People have obligations even on road trips, and we are happiest when we learn to accept that. To be clear though, they are a fun diversion, not a divine revelation. You really ought to manage your expectations, because life is unpredictable. It involves some events that are desirable and some that aren’t. Some might say its greatest joys come in moments where we experience its imperfections and see the beauty in them. Road trips are no exception.